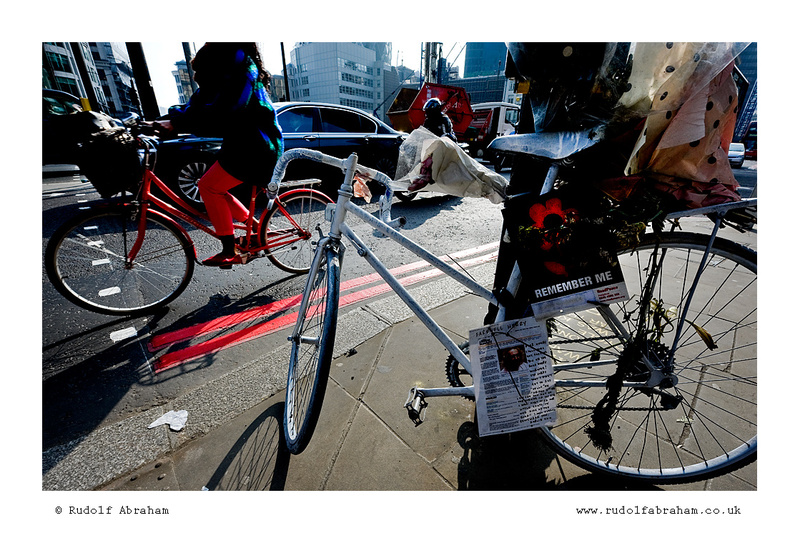 ‘Ghost bike’ memorial to Henry Warwick, London cycle courier killed in February 2012 at the junction of Wormwood Street and Bishopsgate, London EC2. 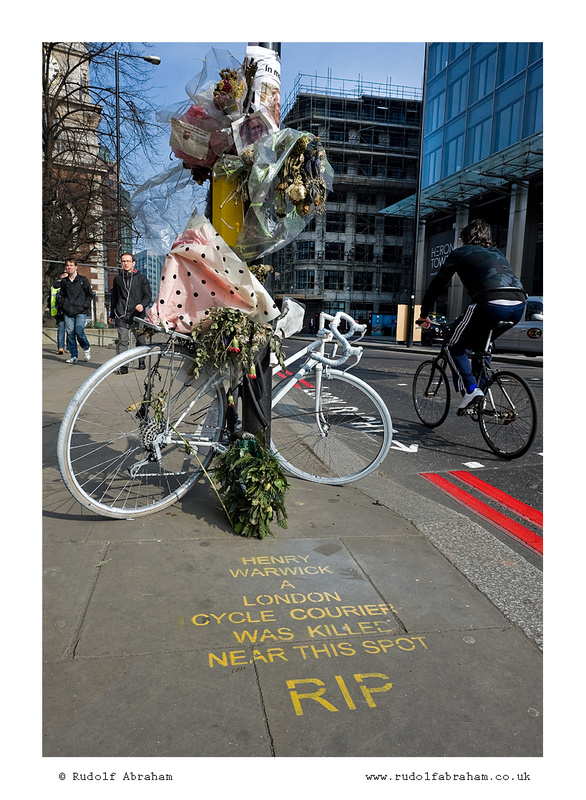 16 cyclists were killed in London in 2011. 5 have been killed so far in 2012.
are there cars in heaven? I’ve seen quite a few of these in downtown Toronto over the years…awfully sad. But a lovely tribute.